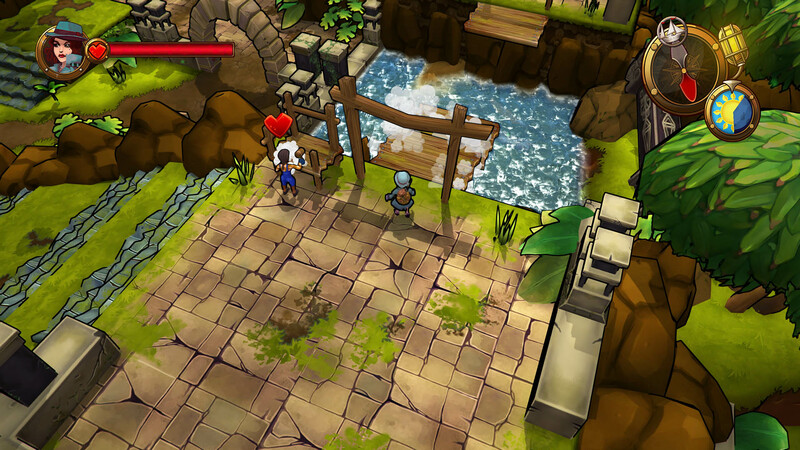 Lost Sea is an action adventure game that employs basic RPG elements and effective battling system. It switches between a third-person three-dimensional world and a 2D overworld from which to select the island to explore. It throws the player right into the game; choose your shipwrecked wonderer and find yourself lost and all alone with nothing to hold on to save for the clothing on your back. Once you start exploring you’ll pick up a handy machete to cut your way through thickets and destroy objects standing in your way. Pretty soon you’ll find you’re not at all alone, as the island is populated with all sort of animals, set to oust you from their lands – situations in which that nifty little machete sure comes in handy! 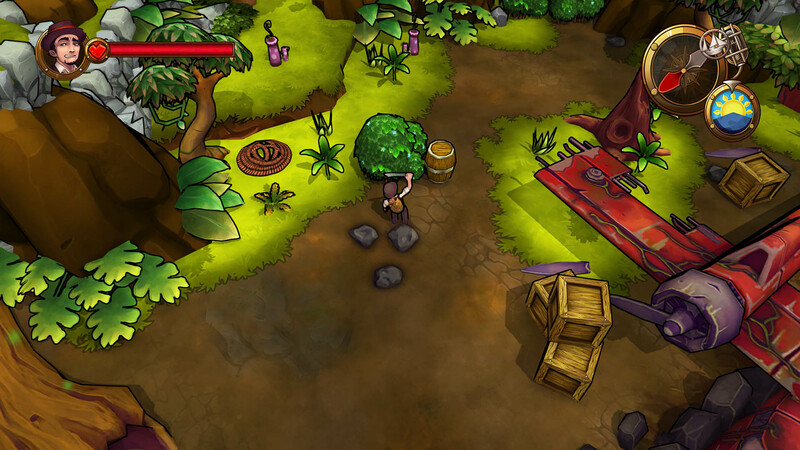 The main goal in Lost Sea is to locate all the hidden treasures to make your way back home, a daunting task as one has to traverse the islands stringed along the archipelagoes multiple times over to find all and bring them home safe and sound. In order to sail onto the next island, you’re tasked to located tablets, in essence, sea-charts, and carry them back to your ship to stipulate your next route. Each tablet allows you to sail a certain number of spaces, or islands, much like a traditional roll of the dice in a board game. Find up to three tablets on each island to increase the distance you can sail after having them stored on your ship. The islands that house the treasures are procedurally generated which makes aiming for a certain tablet all the more irksome, something that in the long run can start to feel a bit grindy as you find yourself revisiting the same islands over and over again in order to end up on a treasure island. 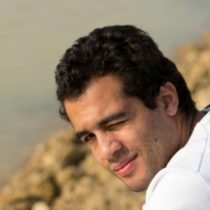 At the same time though, since the islands are procedurally generated it never gets boring, and being the completionist that I am, for the first 4 hours I found myself hacking and slashing every obstacle in my path – save for the poisonous barrels – and slayed all enemies in sight, collected every coin and experience point I could find. After two archipelago-runs I had unlocked and upgraded both my character and ship to the fullest and was in charge of the situation. At first, the game can feel somewhat hard with edgy enemies who’s range and speed vary greatly, and with your own basic skill-set not too well equipped for battle. On the flipside, in due time I started feeling slightly overpowered as the skills I unlocked were no match for the enemies littered across the islands, provided the stamina meter didn’t run out. The moment your health bars are getting dangerously close to zero, head over to one of the wondrous ‘trees of life’, shake it and you’ll find yourself rejuvenated, ready for the next battle. Scattered across the islands are stranded crew members in dire need of saving. After being saved they are happy to join your little crew and will aid you by boosting your statistics and help you in carrying those tablets back to your ship. While in theory, this setup works wondrously, in reality, it was as cumbersome as it was helpful. Your crew members will only follow you as long as you are within their line of sight and will get lost when you are too far away, something that becomes all the more troublesome the more members follow you (with a maximum of 4). Like any good party-leader, you will need to keep an eye on your crew members or you’ll be going at it alone within no time. Found a new potential crew member and have no free slot available? Send someone off to the ship and hire a new pair of hands. Apart from their low-level AI, it is a shame that their individual portraits don’t have a name to them. As such, they lose all their individuality save for their randomized skill-set. These skill-sets help you build bridges, open up chests, boost your attack strength, or nurse you back to full health after facing a certain death. The latter, especially when leading multiple crew members with that revival skill, can make one a tad overzealous and callous though, as happened to me in an unguarded moment only to found out all my progress was lost, except for the found treasure. 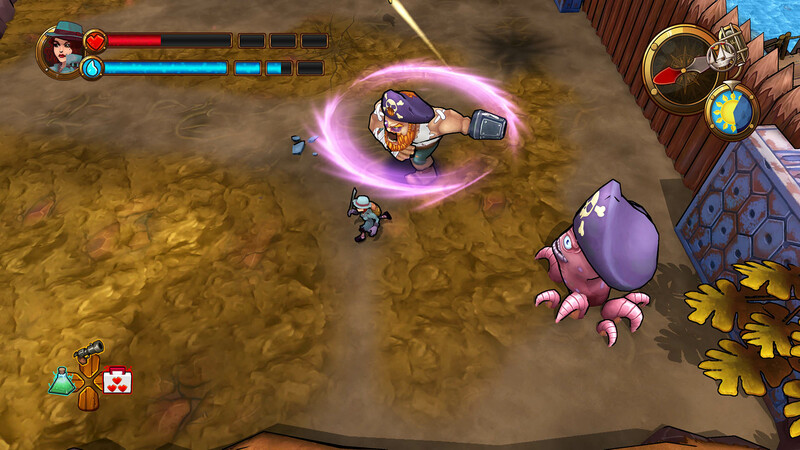 In that respect, Lost Sea is unforgiving and forces you to stay alert throughout your gameplay. The chests found on the island contain useful items, which unfortunately are not at all explained. Only after using one of these items does the name pop-up and you’ll have to memorize it for the remainder of the game, which should have been made more accessible. 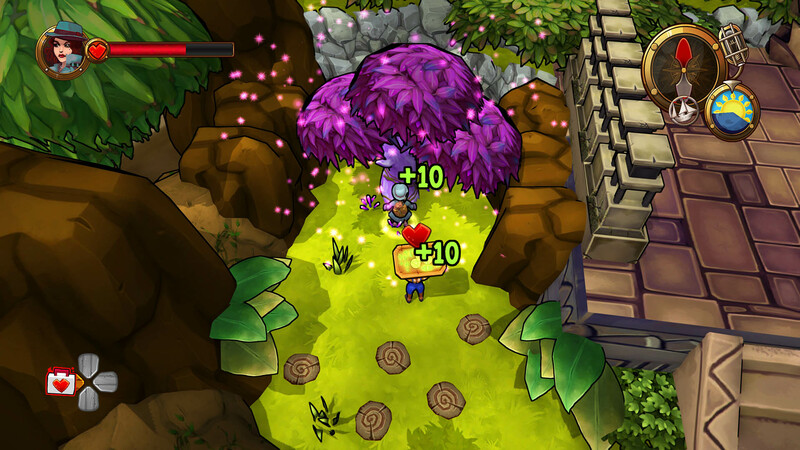 The game employs a cartoony look with thick-set outlines and nice colouring. Overall the game runs fine, though there are significant framerate-drops playing in handheld or table-top mode, especially when the camera is obstructed by an overhanging branch, something that docking the Switch easily remedies. For a game of this scale, it is a shame to see such a visual hiccup as my preferred way of playing by far is on the go, and I hope it can be patched out soon. The music is befitting the game and gives a nice atmosphere to the explorative nature of Lost Sea. 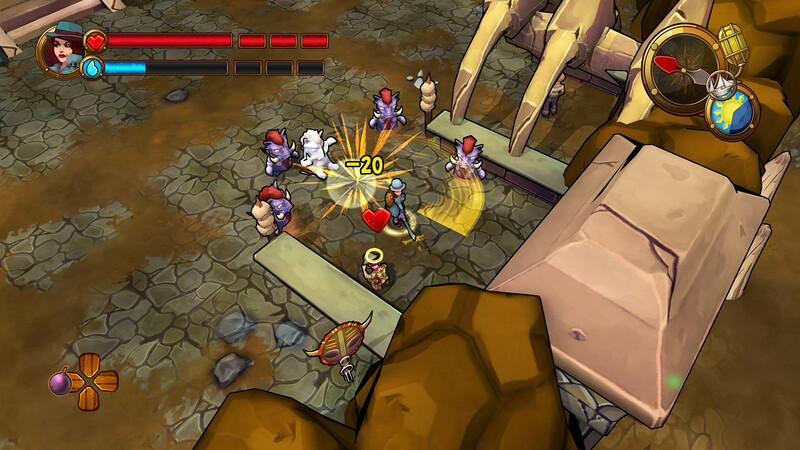 The sound effects are as can be expected from an action adventure game. The only out-of-place sounds were the sounds the bosses make while throwing tantrums on his bridge. Lost Sea is a nice, though basic approach to the action-adventure genre that should keep the player occupied for a good amount of time. There is a genuine sense of discovery because of the procedurally generated nature of the islands and the contents therein. It makes for a nice puzzle in which you’ll be faced with options to battle the islanders, plunder the chests and find loot, or track your way to the tablets to get out as soon as possible. The unlockables seem plenty, though are quickly run-through, unfortunately, something that could have been given more depth or put behind bigger paywalls. 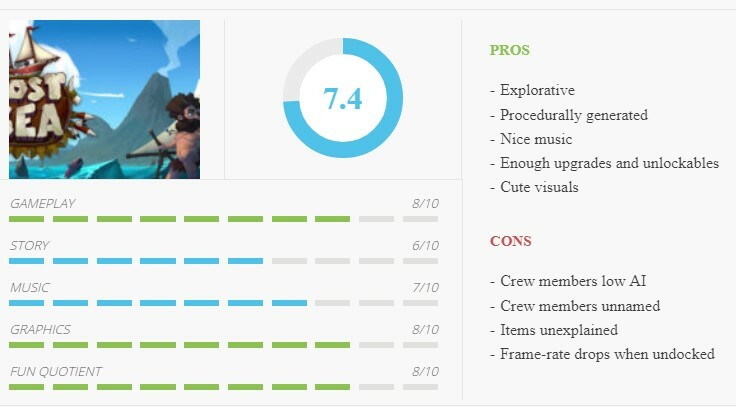 It sure would have been nice going around with two crews in co-op mode but being a single-player game, it does what it needs to do, and does it well. 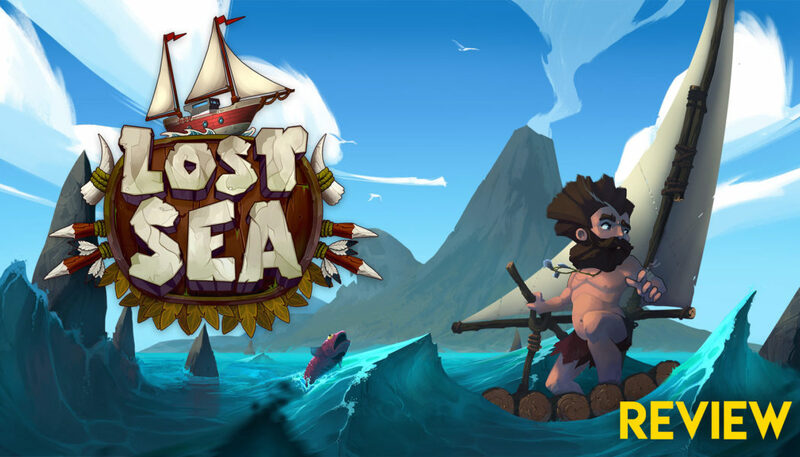 If you’re looking for a nice action adventure game, Lost Sea is surely a good place to start and should keep you engaged until you find your way home again!